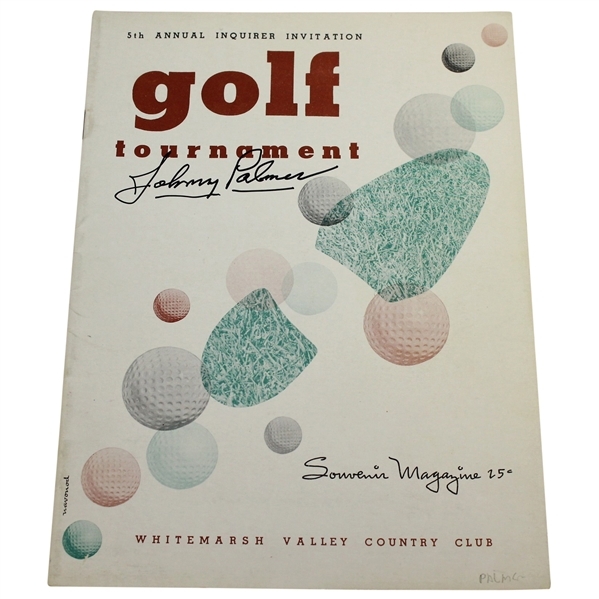 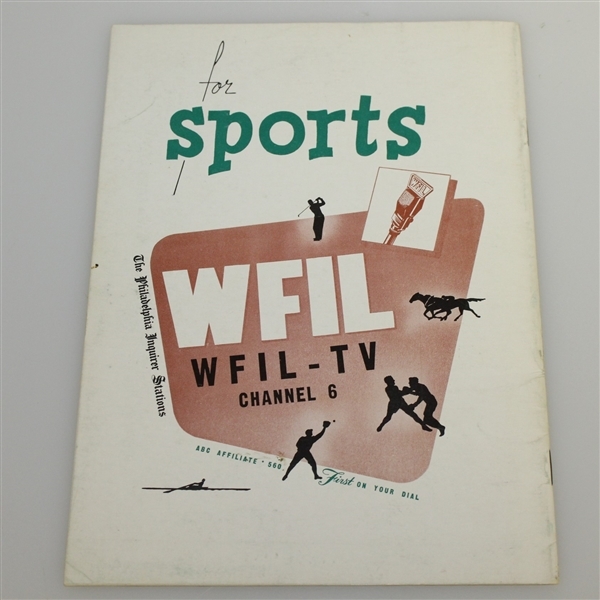 Here we have a program from the 1948 Philadelphia Inquirer Invitational at Whitemarsh Valley Country Club. The winner Johnny Palmer signed the cover in black marker. 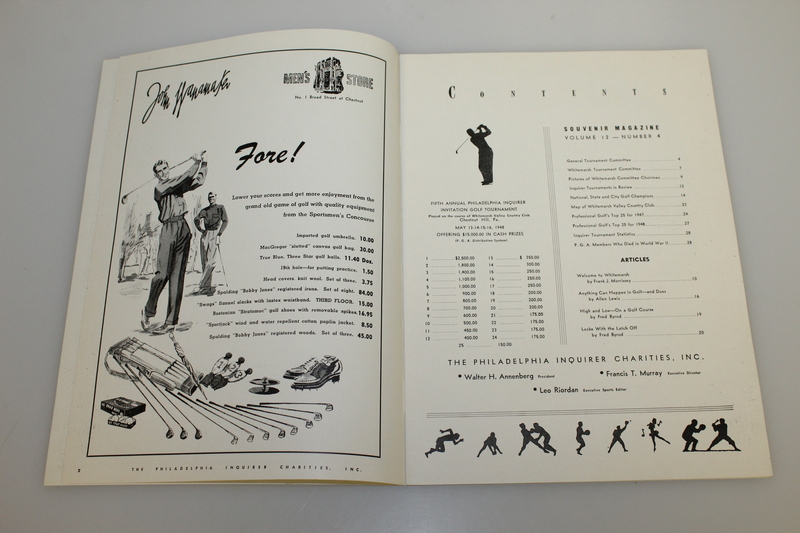 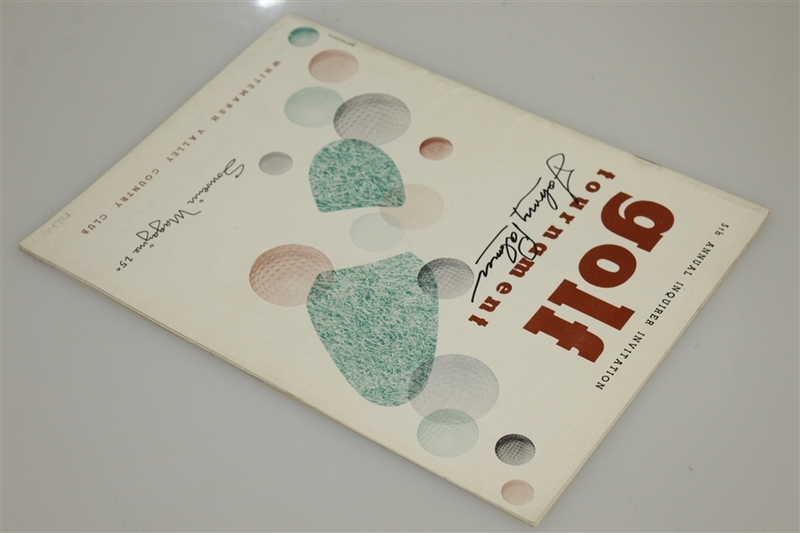 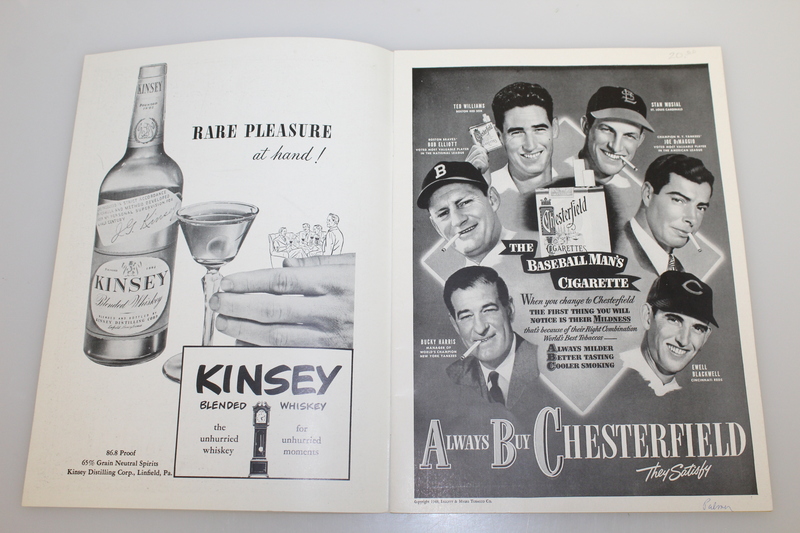 The program is in good condition with handwriting from a previous owner on the bottom right cover. 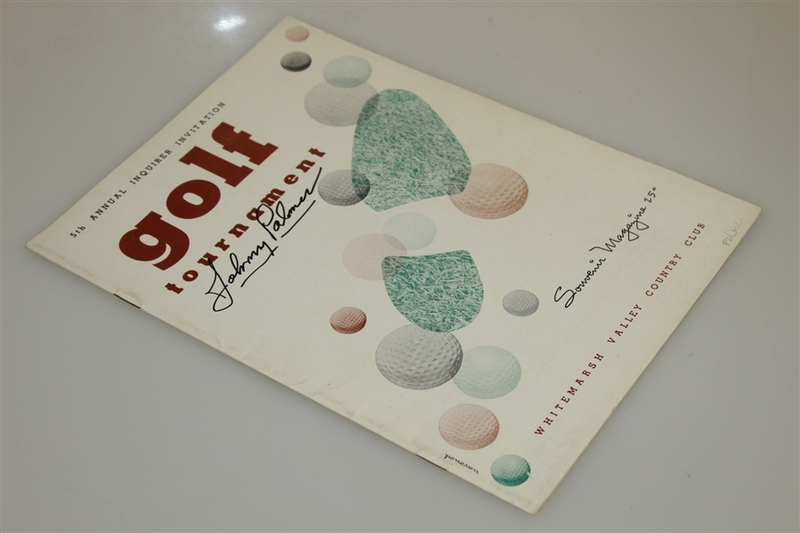 Johnny Palmer had 7 PGA Tour wins and was a member of the Ryder Cup team in 1949.